Food is one of the things that binds us together, lets people know they are part of the same tribe. We eat meat, they don't, is one of the common differentiators. Some people are really into food. They like shopping for food, they like cooking, they like spending time in the kitchen. I don't. I like charcoal grilled steaks, but that is about the extent of my cooking. I do enjoy a tasty, well prepared meal occasionally, but once a month is plenty. Fast food and Chinese restaurants do me just fine. Some of my friends take more interest in food. These days for our Thursday lunch we have been going to a Chinese restaurant. It suits me just fine. I order the same dish every time. Dennis thinks their menu lacks variety. We may be going back to "New Seasons" soon to accommodate Don who is encumbered by a job. It's one of those foo-foo New Age / Organic grocery stores, that also has an over size deli. There are no waiters. For every item of food you have to go a different counter and talk to a different person. I have it down to picking up a saran-wrapped sandwich out of the cooler and a piece of cake from a counter. That means I only have to talk to one person at the coffee bar to get a cup of hot water for my tea. Oh, and the cashier. Make that two people. The other guys go and pick all kinds of weird stuff up and even wait for it to be cooked. What a pain. I mean it's just lunch. Is it really that important to spend all that time on it? I guess that's one of the things that keeps life interesting. Sunday morning my wife and I are eating breakfast at the hotel. It's buffet style, people just wandering in and out. We pick up a copy of the Sunday paper and I'm reading the comics. I read the comics everyday. Most days they just go right by me, but occasionally one will strike me as funny. I'm about half way through and "Baby Blues" hits my funny bone and I let out a shreik of laughter. Embarrassed my wife to no end. She reports that everyone looked at me. I was totally oblivious. I went on reading the paper. That one comic must have been a trigger because after that, they were all funny. I am reading a story on View From The Porch and I spot a phrase that tickles my funny bone, so I open the comments to say so, and I come across Scandium. Scandium, one of those obscure metallic elements that fill up most of the periodic table. So I start looking up information on Scandium. Some of it I have read before, but this time I have a connection, however feeble, and I pay a little more attention. The stuff is rare and therefor expensive, though not nearly as expensive as Rhenium. It's produced as a byproduct, more or less, of producing other more important metals. This is the only reason we have the stuff. I doubt it would be worth it to dig up the amount of ore of needed to produce Scandium if that was the only thing we got out of it. However, most of what we use these days comes from stockpiles in the former Soviet Union, more than is being mined. I suspect the price will remain relatively low until those stockpiles run out, then like a pusher, the world will be hooked and the price will go through the roof. The original use of scandium-aluminium alloys was in the nose cones of some USSR submarine-launched ballistic missiles (SLBMs). The strength of the resulting nose cone was enough to enable it to pierce the ice-cap without damage, and so, enabling a missile launch while still submerged under the Arctic ice cap. 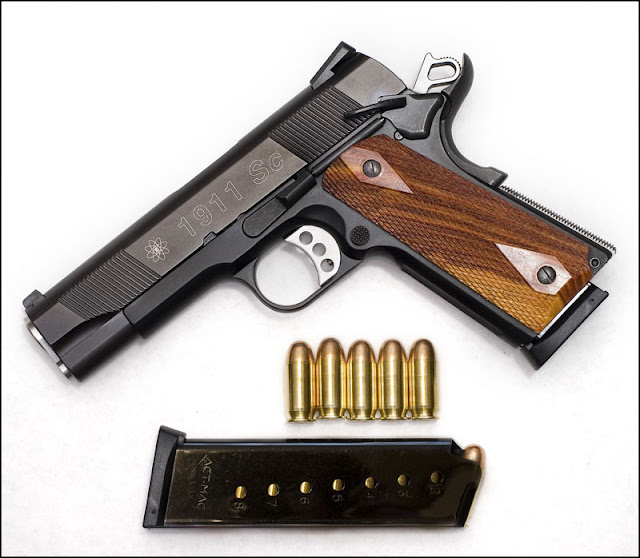 But here we have a handgun (specifically a S&W 1911 sc Commander) made with a scandium alloy, scandium alloyed with aluminum, presumably. Once again something obscure has crept into my life without my previously noticing it. For carrying comfort, obviously lighter is better. An all-steel "J-frame" hammerless may weigh 20 ounces. The aluminum framed Airweight version is perhaps 14 ounces. The AirLite Ti version cuts overall weight to under 12 ounces. Scandium construction allows for a .357 Magnum AirLite Centennial that weighs barely over 10 ounces. As weight goes down, recoil goes up. Update December 2016 replaced missing picture. I've been doing some thinking about this program, and the more I think about it, the more ideas I have. So I am going to write them down and see if some kind of plan falls out. Add teeth to belt. Suppose I could start with just adding thickness, but teeth would be cool. It will take some doing though. First of all, the distance center-to-center of the cog wheels, the diameter of the cog wheels, the length of the belt and the pitch (distance from one tooth to the next) are all going to have to agree. If they don't, the belt will slip and your airplane will fall out of the sky. Secondly, I will have to generate several versions of the belt image. The belt will be moving and it has portions in linear motion and in rotary motion. So I will need to generate enough images to provide the illusion of smooth motion at the slowest speed. I expect that I will need about a dozen. In case the operating parameters of this program change it should be written so that new images can be generated on the fly without major modifications. If I follow the model already in use, this should not be a problem. The last bit will be synchronizing the belt position with the cog wheels, i.e. matching their phases. Make sure that the belt drawing procedure works in any of the three planes, and that it works when the axii are in different planes. The axii must be parallel to each other and to one of the major axii. Change the start up code to the universal OpenGL framework, i.e. remove all the Windows specific coding. Verify that it still works on Windows. Try it on Linux. This means I need to fix the resolution on the Linux box (it's stuck at something like 800 by 600). I had the Dapper Dan version of Ubuntu running and I had good resolution, but it did not have Firefox. I looked into installing Firefox, but the more I looked, the more it looked like upgrading to the current version was a better idea. So I installed Happy Hooper (or whatever it's called, version H in any case) and now I have Firefox, but the resolution sux. Need a better error reporting mechanism. Right now the program uses a mix of asserts, printf's and Windows Message Boxes. Pretty sure Windows message boxes don't work with Linux. Asserts are good for debugging the program, but you shouldn't need them in the final release. Printf's are okay, but they don't go anywhere. I think what I need is a kind of log file that can be viewed in a window. It would show the results of reading the gear train configuration file and point out any problems/conflicts it encountered. This would be especially handy when developing a new configuration. Change the way radius is used in the program. Right now it is used to reflect the outside diameter of a gear. It should reflect the pitch diameter. This will change the way numerous calculations are done. Changing this will mean changing all the configuration files as well. Change the way relative position is used for spur gears and axles. Right now it refers to the center of the gear and axle. This may have made it easier to write to the original program, but I think it is going to be more difficult to use when developing a new gear train. Change it to refer to the end surface closest to the origin. Relative position for bevel gears will refer to the position of the pitch circle, and the actual gear will fall where it may. Fix the calculations for the bevel gear teeth to relect our ideal model. Fix the normal calculations for bevel gears so the lighting looks correct. 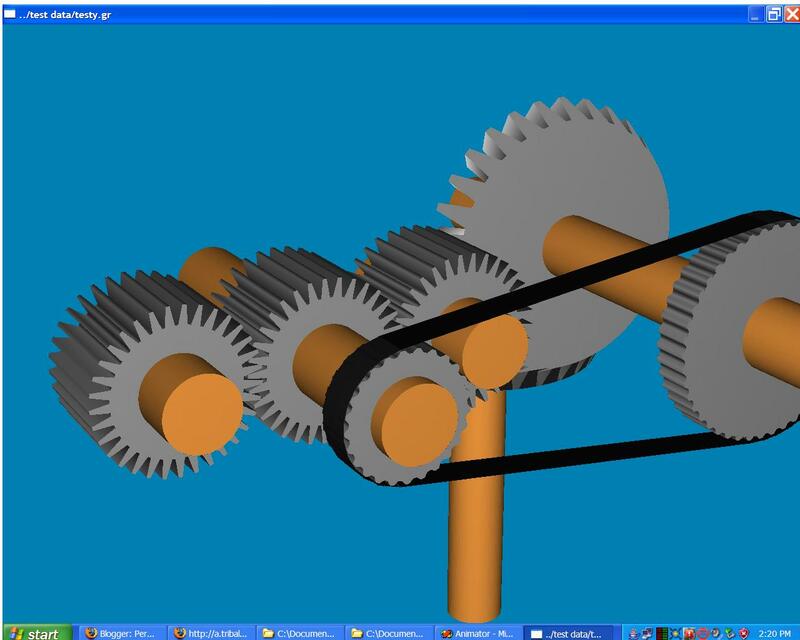 Try some really big gears meshing with small gears and see if it works okay. Fixed support frames, to add some realism, like a clock face for a clock. Clock hands, because I need them. Concentric axles, though I don't think anything special has to done. Axles currently ignore each other. Need this for clocks. I was thinking of adding generic floating frames, but I think I will stick with a couple of specific applications: planetary gear sets and differentials. Ring gears. This one should be easy. Ability to lock gears. Not really necessary until you get to floating frames. Adjust the viewpoint so the whole mechanism is centered in the window/viewport. Add zoom and pan capability. Add ability to set pitch. Dynamic allocation of data structures. Step by step drawing so you can check on what's going on as it is drawn, rather than trying to figure it out after the fact. Of course, once you get there, you can add fancy stuff, like on screen configuration. Point and click to add gears or other components. I'm not going to worry about that for right now. And then there is always a Java version to run on the web. And then we can duplicate the Lion's Gate logo. It is pretty cool. My wife got rear ended yesterday afternoon. No apparent injuries, cosmetic damage to her car, maybe a little more to the striker. 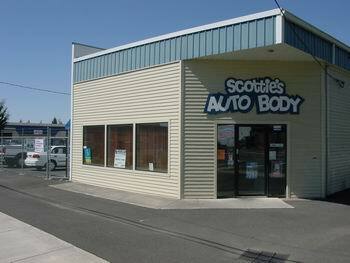 Took the car into Scottie's this morning for an estimate. Danielle (the estimator) takes one look at the bumper and declares that it will have to be replaced. I thought maybe a little sanding and a new coat of paint would suffice. Danielle points out a couple of gouges that would have to be repaired (presumably filled and sanded) and tells me that by the time they got done fixing it, it would be cheaper to replace. Seems kind of wasteful, but time IS money, at least if you are running a business, so replacing it is the order of the day. You can see Danielle and I reflected in the paint. I'm standing on the right. Danielle's face is obscured by the bumper step pad. So there's another big chuck of plastic going in the landfill where it will sit until the continents rearrange themselves and turn the landfill into some new kind of metamorphic rock. Or some future archaeologist/scavenger digs it up. Several times during my talk with Danielle she inquired if my wife had been injured. 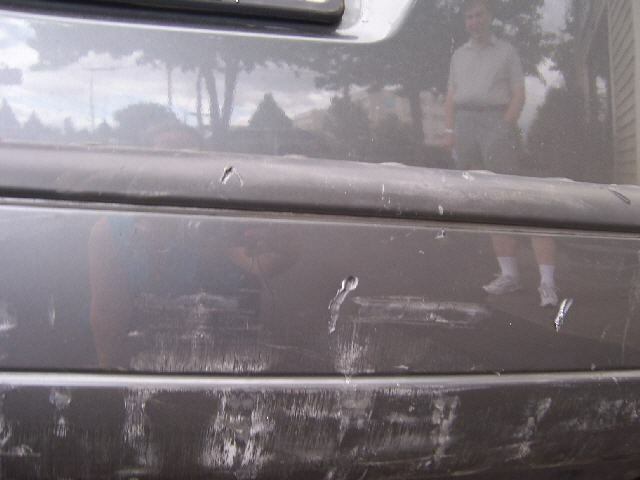 She also points out the sometimes injuries from fender benders don't show up for a couple of days. So far so good, but we shall see. In any case, I imagine the $700 repair bill is a nit compared to the cost of any kind of injury. Update December 2016 replaced missing pictures. Twice this week I have heard women using the phonetic alphabet to communicate over the phone. I can't remember the last time I heard anyone use it. Monday I was talking to an Indian woman working as a temporary employment recruiter. She had a very thick accent. She had to spell her name for me and she used the phonetic alphabet to do so. This morning I took my wife's SUV into the body shop for an estimate and the estimator used the same technique to communicate some number to someone else on the phone. She did not have an accent. I have tried using the phonetic alphabet to spell things for people who cannot understand me and I have never had much luck. It is usually too far outside their ken for them to pick up on it. 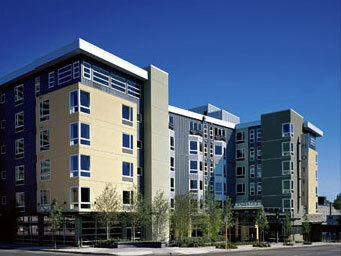 Drove to Seattle this weekend to deliver darling daughter to the University of Washington for early fall start. There was some question as to whether all of her stuff would fit inside the mom-mobile, or if I would have to mount the Yakima Rocket Box to the roof. In the end, it all fit inside, though there was no room for dearest brother. That suited him just fine, he had no interest in this expedition. We drove up Saturday evening. Traffic was tolerable. Three hours from our door to the garage entrance of the Watertown Hotel, which was about six blocks from the dorm. None of this pull up out front, go inside to check in and then back out to park the car. We pull up to garage door, press the button on the intercom, talk to the clerk for 30 seconds, and up goes the door. Drive inside, park, grab our gear and head for the elevators. Parking in the garage looked really tight, or it would have been if it was full. Fortunately, it was less than half full, so it was easy to park. I imagine we will find out just how tight it is when we come back next month for the Oregon-Washington football game. Our room was really big, maybe twice as big as normal. There were a number of odd features, like the frosted glass porthole in the bathroom door, the heavy shades on the windows and the enormous full length mirror apparently leaning against the wall. It must have been close on to four feet wide and seven feet tall. It was actually attached to the wall at the top, so it was in no danger of falling. There were a couple of windows that looked out onto the alley, though we were high enough up that we could see over the adjacent houses. Not really much to see from our side though. The windows tilted inward to open a bit at the top for ventilation. The big window had a label that indicated it could be used as an emergency exit (only if there was someone outside to catch you, it was a long drop to the ground), but I could not figure out how you were supposed to open it. Maybe if I was in a panic I would simple jerk it open, but it wasn't apparent to me how you were supposed to get to fully open. Or maybe they only open from the outside, which would make a certain amount of sense. 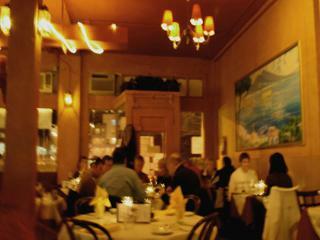 We went out to dinner at Mamma Melina Italian Ristorante. It was late, they were full and we had to wait a few minutes until they could clear a table for us. It was very loud inside. Lots of people talking and a guy playing the piano and singing. The music varied. Mostly it was pop, but occasional there would be something that sounded like opera. There was an older guy there singing the opera pieces. He had quite the voice. All in all very pleasant. Anne went for an eighteen mile run this morning and something happened to her knee so if she moved it the wrong way it give her a jolt of pain. If she moved it the right way it was fine. Of course, it was near impossible to tell just what the wrong way was so we would hobble along and then she would hesitate and grimace, and then we would hobble along some more. I offered to go get the car, but she declined. She did ask for a beer from the gas station though, which I was happy enough to buy for her. Couldn't buy single bottles from a six pack. I don't know whether this was state law or store policy. We can buy single bottles at our local grocery store back home. So I bought one of the double size bottles (they are not quite a quart), which they do sell separately. Check-in time at the dorm was for 8 AM. By the time we got there they were already in full swing. Parking lot was full, cars were queued up waiting to get in. I found a spot on the street at the end of the block and Kathryn went off to retrieve her keys. I rounded up a cart and presently we were lined up for the elevator. After the first trip in the elevator, everything else goes up on foot. 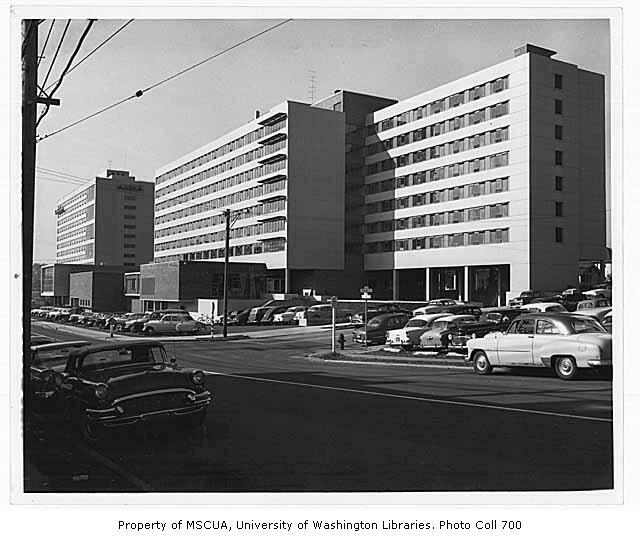 There are two elevators and one small set of fire stairs, and they were well used. There was an additional staircase at the far end of the floor, but you could only gain entrance from the second floor up. There was no access from the main floor, and the door at the ground floor opened to the outside and it was locked from the outside. I suppose I could have blocked it open, but inside it smelled of urine. Not the most appealing place. Anyway I ended up making several trips up the fire stairs carrying darling daughters stuff. One trip with a couple of duffel bags containing her matched set of blacksmithing anvils left me out of breath, so much so that another parent inquired if I was okay. I was fine. Matter of fact I haven't enjoyed myself so much since I don't know when. I probably made half a dozen trips up and down six flights of stairs. Another trip I am carrying a big box in my arms. The fire stairs are kind of narrow. They are wide enough for two normal (sub-normal?) people to pass, but not if they are carrying big honking boxes. Most people coming down stop on the landings to let the people carrying stuff up the stairs go by. But here comes this little wisp of a woman thinking she can slide by between me and the wall. I was tempted to crush her for her impudence, but with a tremendous effort I controlled myself. Even so she was forced to turn sideways in order to get by. I think she escaped with only minor scrapes. Dang these little skinny people. There was also the furniture shoving contest. The default furniture arrangement was unacceptable. Everything had to be moved from where it was to somewhere else. Since there was so much stuff, we had to elevate the bed so there would be more storage underneath. Eventually, that decision was reversed, and the bed had to be set back down to it's original height. It wasn't too much work to change the height. Simply a matter of unscrewing four bolts, having a helper help hold the bed up while you pulled the bolts out, setting the frame to the new height, pushing the bolts in and then tightening them up again. Repeat for the other end. Simple enough until the thread at the tip of one bolt gets buggered and then it's a struggle to get that bolt started. I ended up clearing the buggered thread with the can opener blade on my screwdriver. Bit of a trick without my glasses. Sometimes I could see the problem, sometimes I couldn't. Pressing the bolt in the gap in the can opener blade and then turning it seemed to clear the damaged thread because I was able to screw it into the hole. In between all this there is quite a bit of down time for me. The girls are fussing about putting things away and they don't want the big sweaty Daddy getting in the way. It's hot in the dorm so I am glad to go outside. But outside it's starting to rain. I find the one spot on the whole outside of the dorm where I can sit down, out of the way and out of the rain. I think the architect must have screwed up. If they had been on their toes I am sure they would not have let this spot slip in. There is a curb along the walkway to the rear entrance of the main floor. Just before the walkway reaches the end of it's cover, it turns to stairs and goes down half a flight. Right at this point there is a place where the curb is high enough to be called a seat. It is about a foot short of the end of the overhang, so it stays dry. I spent a while just sitting there. Naturally we had forgotten something so we had to make a trip to Target, which meant getting on the freeway and driving about four miles North. Target is in a big block size multi-story building with a several other stores and a parking garage. First time I had seen this arrangement. I took a nap in the car while the girls did their thing. Time to leave and it's creepy crawly most of the way down. Getting in was a piece of cake, but in the meantime the place has gotten substantially busier and we have to wait for people pulling in and pulling out. It could have been aggravating, but I was too tired for it to bother me. Back to the dorm and power strip won't plug into the wall. Some of the outlets are three pronged, but the nearby one is only two pronged. The power strip is three pronged. This is not going to work. Something will have to be done. Eventually it is time to go. We say our goodbyes and drive home in the rain. 28 hours elapsed time. When I was living in Austin I took on some automotive repairs, partly to make a little money and partly to help out some friends. 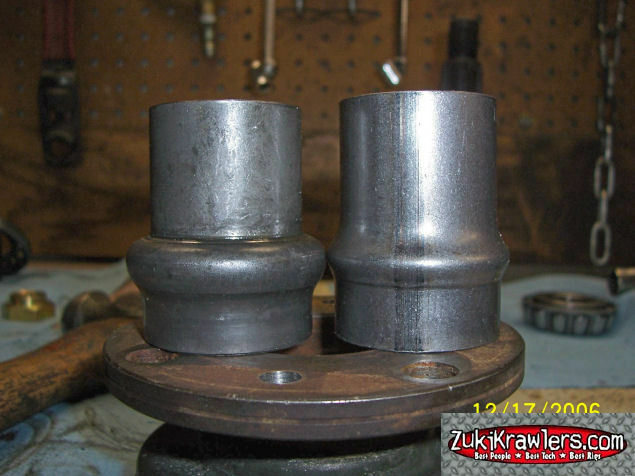 One such project was repairing a limited slip differential in the rear axle of a four wheel drive Blazer. Limited slip differentials work by having clutch plates between the axle gears and the differential cage. They will slip, but it takes a certain amount of force to make that happen. They also require a special kind of oil, sperm whale oil if I recall correctly. Failure to keep the oil up to snuff will cause the clutches in the differential to fail, and that is what happened in this case. They pretty much disintegrated. So it all went pretty smoothly, for working in a dirt driveway with the vehicle up on jack stands. Pretty smoothly that is until it was time to put it all back together. There are two tapered roller bearings that support the pinion shaft. Between them is a crush sleeve. The crush sleeve looks like a short piece of exhaust pipe with a little bulge in the center. The idea is that you tighten down the nut on the pinion shaft until the bearings are snug in their races. To get to that point you will need to crush the crush sleeve. As I recall it requires on the order of 400 to 450 foot pounds of torque to get this done. If the truck had just been another foot or so in the air, it would not have been such a problem. Or it the axle was sitting on the jackstands, but it wasn't. The jackstands were under the frame, and torquing the nut caused the whole axle to twist on it's springs, so it was a real struggle to get even one click on the ratchet with every stroke. If it had been earlier on in the project, I might have considered moving the jackstands, but this was like the next to last step and I just wanted to get done with this job. Here's someone who did a much more professional job on his truck. Right up until commercial whaling was largely outlawed in the 1970s, a major component of this high-pressure lubricant came from sperm whales. Update November 2016 replaced missing picture. I'm happily reading a story in the Oregonian this morning when I stumble over Zoetrope. From context I deduce that it means something like Kaleidoscope, but for the life of me I can't remember just what Zoetrope means. What's worse is it isn't in my dictionary either. Finally I look it up on my computer and Wikipedia tells me what it is. Nothing worse than having your Sunday ruined by having to learn something new, er, obsolete. 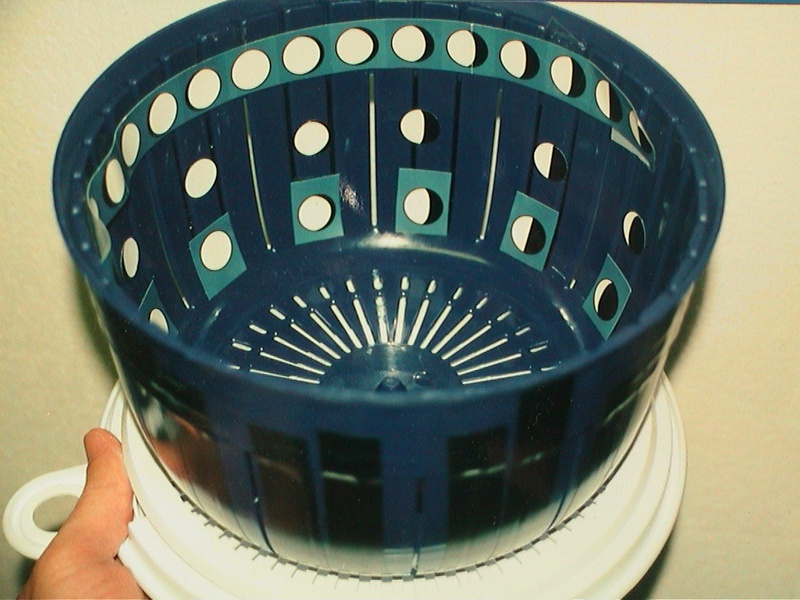 Zoetrope indeed. Methinks Monsieur Woodward is just showing off. Typical wordsmith. OpenGL is a computer programming library for displaying 3D images (GL=Graphics Library, Open is for open source). I haven't been posting much lately partly because I have been busy messing with an OpenGL program. I have some ideas for some do-dads involving gears, and I was looking for a way to make some digital drawings. Gears are kind of problematic. They have been around forever, and they have evolved into some of the most esoteric mechanical engineering devices around. So there are great and glorious CAD/CAM packages out there that will draw and design gears, but they cost a ga-zillion dollars and take six years to master. I just wanted to be able to sketch out some elementary gear like shapes and be able to generate a digital animation. So I poked around for a bit and I finally stumbled across a set of programs written by Shobhan Dutta using OpenGL. The best part was he provided source code that compiled on my machine! One of his programs animates a configurable gear train. It is not very elaborate, but it compiles, it runs and it displays gears! This is great! I think this may have been written when he was a graduate student some ten years ago or so. Of course, it needs a little work. First of all there is no provision for controlling the speed of the gear train. The gears are either spinning or stopped. Modifying the program to provide for speed control takes some doing. Most of the program is pretty clear and straight forward, but the section that sets the relative speeds of the gears is long, involved and basically opaque. I spent part of a day or two trying to sort it out, but eventually decided to simply replace it with my own version. I like to think my version is simpler and easier to understand, but the amount of source code is similar to the original. But it works and I can now control the speed. Of course one thing leads to another and now I have small laundry list of problems to fix. The first one was ensuring that the gear teeth properly mesh. This is not a physics engine, it is only drawing 2-D planes in a 3-D space. Gears grind right through other gears unless you (the programmer) takes pains to see that they don't. I got spur gears to mesh, but bevel gears are not cooperating. I think I need a new model to determine proper phase alignment of bevel gears. It's going to take some work. Then there are the belts. Right now the program uses plain flat belts of no discernible thickness, and as they are all black, they do not appear to move. I am toying with the idea of making them toothed belts, so they engage the gears, or making them V-belts, but with writing on the back, so you can see that they are moving. There is also a small bug in the belt drawing routine that leaves a little space on the bottom side of the belt. I am going to have to sort out the math in order to figure out what is going on with this one. I didn't like the way bevel gears were being drawn. I changed that so they look better, but they could still use some improvement. I have sorted out the math for this, I just need to write it down, but the phase problem is still bugging me. I have also done a lot of house cleaning. Gotten rid of duplicate computations, made common blocks of code into subroutines (like drawing a circle). Added a primitive help function and some more error checking. The big thing will be when I add ring gears and rotating frames. I hope that doesn't make it too complicated. Update October 2016 replaced missing image. My wife went to an educator's seminar about non-verbal communication this week. Unpaid, but she thought it was great, and what I got from her about it was the best thing I heard all week. 8:00 am - OH BOY! DOG FOOD! MY FAVORITE! 9:30 am - OH BOY! A CAR RIDE! MY FAVORITE! 9:40 am - OH BOY! A WALK! MY FAVORITE! 10:30 am - OH BOY! A CAR RIDE! MY FAVORITE! 11:30 am - OH BOY! DOG FOOD! MY FAVORITE! 12:00 noon - OH BOY! THE KIDS! MY FAVORITE! 1:00 pm OH BOY! THE YARD! MY FAVORITE! 1:30 pm - ooooooo. bath. bummer. 4:00 pm - OH BOY! THE KIDS! MY FAVORITE! 5:00 PM - OH BOY! DOG FOOD! MY FAVORITE! DAY 752 - My captors continue to taunt me with bizarre little dangling objects. They dine lavishly on fresh meat, while I am forced to eat dry cereal. The only thing that keeps me going is the hope of escape, and the mild satisfaction I get from ruining the occasional piece of furniture…Tomorrow I may eat another houseplant. DAY 761 - Today my attempt to kill my captors by weaving around their feet while they were walking almost succeeded, must try this at the top of the stairs. In an attempt to disgust and repulse these vile oppressors,I once again induced myself to vomit on their favorite chair…must try this on their bed. DAY 765 - Decapitated a mouse and brought them the headless body in attempt to make them aware of what I am capable of, and to try to strike fear into their hearts. They only cooed and condescended about what a good little cat I was… Not working according to plan. DAY 768 - I am finally aware of how sadistic they are. For no good reason I was chosen for the water torture. This time however it included a burning foamy chemical called “shampoo.” What sick minds could invent such a liquid. My only consolation is the piece of thumb still LODGED between my teeth. DAY 771 - There was some sort of gathering of their accomplices. I was placed in solitary throughout the event, however, I could hear the noise and smell the foul odor of the glass tubes they call “beer.” More importantly I overheard that my confinement was due to MY power of “allergies.” Must learn what this is and how to use it to my advantage. It is posted on lots of web sites. This copy I stole from Bo Knows. The thing is that these diaries also apply to people. Think about some of the people you know, or even yourself, if you can be objective, and see if these don't apply. What's more, dog people (people who like dogs) are more often more like cats themselves, and cat people (people who like cats) are more often like dogs. My wife and kids really like our cats. My wife and daughter often are just ga-ga over them, exclaiming how cute and wonderful they are. I am sorry, I just do not see it. They are cats. They are doing what cats do. Why would anyone care? Me, I like dogs. They are agreeable. They do things, or not. They don't engage in this seemingly ceaseless meandering that cats do. So I am more of a dog person, and my daughter and wife are more cat people. But does this new rule apply? Does this mean I behave more like a cat and my wife behaves more like a dog? Well, my wife is always cheerful, and I am often sullen. Do I often suspect the world of being out to get me? Do I spend countless hours plotting my revenge? Not me, I wouldn't do that, and even if I was it wouldn't be any of your business anyway. Thing most important to a cat-like person is freedom. Thing most important to a dog-type person is order. There is a whole lot more to it, so if you have to deal with people, and sometimes those dealings are difficult, you might want to try this seminar. There was an article on the front page of the local paper this morning. Some old duffer stole a motorcycle cop's gloves and sunglasses off his motorcycle parked on the street in downtown Portland. "Portland officer rewinds video to find theft suspect"
I can think of several other takes on this incident. 1) How arrogant of the police officer to leave his possessions lying out unattended! If this had happened to anyone besides a police officer, and they had bothered to report it, they would no doubt have been subjected to lecture about how you should not leave your belongings lying about. You should keep them with you at all times, or locked up securely. 2) How dare someone take something from a police vehicle! What are they, crazy? Or stupid? 3) Was this officer on duty while he was chasing down his errant gloves? Was he authorized to spend on-duty time chasing down a petty criminal? 4) Was this officer authorized to view those video tapes? Can just anyone walk in and see those tapes? Would they be able to see them in a timely manner? Or would they have to fill out a form, hire a lawyer, go to a hearing, and wait six weeks? Actually, number 2 was pretty obvious from the story. And I wouldn't want the officer hounded by the administration (#'s 3 & 4) over such a trivial matter. I sympathize with the copper not wanting to have to secure every little thing every time he steps off his bike. But I also sympathize with the offender in this case. I suppose it is because I am probably going to have to take a flight on an airliner come Christmas time, and I am not looking forward to it. Having to put up with what passes for security at the airport is one of my least favorite things. Portland Police are not the TSA, but from my point of view as a private citizen all agents of the government get lumped in one basket. I am really tired of hearing the same bleating non-sense repeated over and over again ad-nauseum: "lock everything up, don't show anyone anything, hide, they're out to get you". There has been a lot of excitement about Obama running for president. The press seem very happy with him. McCain seems to be having a difficult time. The Republicans seem to be too divided to agree on anything, so McCain appears to be the compromise candidate, and he isn't generating much excitement. So I had been thinking that Obama was going to win the election in November. I read a couple things in the last day that made me realize I was falling into a mental trap. One of these was a complaint about someone assuming that Obama was going to be the next President. Something along the lines of "the Democratic convention hasn't even happened yet". The other was Margie Boule's column in the paper this morning. She mentioned more than half of the people in the United States thing Barack is a Muslim. He is a Christian, but that doesn't stop people from believing otherwise. The New Yorker cover probably didn't help. I can't imagine why they published it. I have fallen into these traps before, thinking that the candidate I favored was a shoo-in for election. I mean it was perfectly obvious to anyone with half a brain that he was the better candidate. Then the election comes around and my candidate gets slammed, and I wake up dazed, wondering what happened. So Obama may not be a shoo-in. There are a lot of vicious people in this country who thrive on character assassination and hatred, and with the economy not being so great, who knows where their anger will be directed. At the Republican kleptocracy who brought this down on our collectively stupid heads, or the upstart black man who is the devil incarnate? 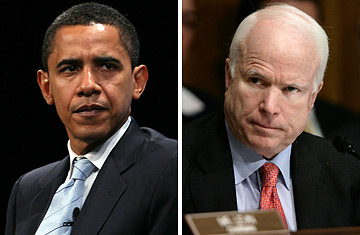 I would like to see Obama elected just so he can make a clean sweep of the corruption in Washington. Of course he will replace it with his own brand of corruption, but it takes time for a good-ol-boy network to establish itself. So if Obama does in fact get elected we should expect to see a change for the better, at least until the next election. I am afraid if McCain gets elected there will be too many sleaze balls that will carry on from the present administration. This is politics and he is a Republican. I would like to think he could do great things, but I think he may just get swept along on the tide, unable to slow our headlong plunge into recession, depression and despair. My daughter Kathryn and I went for a bike ride around Hagg Lake today. I haven't done any real riding since I ended up in the hospital five or six years ago. I tried this once a year or two ago, but I gave out after a couple miles. This time we made it all the way around (ten miles) and it wasn't even that tough. It's not like I've been training or anything. I go for a 20 minute walk most evenings, that's about it. I used to do a lot of bicycle riding. I went on RAGBRAI in 1998 and Cycle Oregon in 1999. The last time I was unemployed (about that same time) I would ride out to Hagg Lake, ride around it, and back home a couple of times a week. Or I would ride to the top of Bald Peak and back. I used to ride my bicycle to work (15 miles one way) a couple of times a week. But being in the hospital put a stop to all that. It was not that I couldn't ride anymore. It was more that I was angry about the whole affair. I used to ride my bike a lot, but more often than not it was a flipping struggle. Some days I would feel strong and I could go like gangbusters, but most days it was a slog. Maybe it got worse towards the end. For years I had been going to doctors complaining that I didn't feel well, but they could never find anything wrong with me. When I checked into the hospital they put me in a room and took my vitals, and immediately moved me to the ICU. Seems my pulse was 160. I was feeling a little tired, well pretty tired, I didn't object to going into the hospital. They put me on an IV for four or five days, prescribed a bunch of pills and sent me home. Atrial fibrillation is what they call it. Erratic heartbeat. Very common, not very dangerous, as opposed to Ventricular fibrillation which will kill you in short order. So I take a handful of pills every morning and I seem to be doing okay. But I hadn't gotten back on my bike. All those years I had been struggling to get in shape and listening to people tell me I just need to work a little more, a little longer, a little harder, just thinking about it made me angry. Here I had been suffering from this handicap and I wasn't even aware of it. No wonder everything was a flipping struggle. But today I got back on my bike. The ride around Hagg Lake is a good, moderate ride. There are about ten little hills to climb, but you get to coast down the other side. There is not too much traffic, though it is mostly of the 4x4 pickup variety. There were a lot of other cyclists today. We probably saw about a dozen. Here is a fancy map with elevations. You will have to pan to the Southwest to see the lake. Notice that there is a big hill you have to go up next to the dam to get to the road that goes around the lake. That hill is a mother. We did not climb that one. We rode up in the truck. Cost $5 to enter the park. The 2006 tour revisits a local mountain road that, when it was included in the 1999 tour, rendered hundreds of riders cold, thirsty and exhausted long before they had reached the day's overnight stop in Haines. That road is the Elkhorn Drive Scenic Byway. As they did seven years ago, cyclists will have to ascend the west wall of the Elkhorn Mountains to 7,392-foot Elkhorn Summit near Anthony Lakes, the second-highest point reached by a paved road in Oregon. If it sounds too good to true . . .
. . . it probably is, and it was. I had a phone interview with Cognex last week. It sounded like the perfect job, and I sounded like the perfect guy for the job. The manager was going on about how there is very little in the way of politics, they don't have any trouble getting any of the equipment they need. It's a real engineering firm doing real work for a real company that is actually making products, selling them and making money doing it. When we finished up I thought he said he wanted me to come in for an interview this week just to see if I would be compatible with the people who are already working there, you know, before he went ahead with hiring me. Well, I a week went by and I didn't hear anything, so I called my HR (Human Resources) contact at the main office in Boston and inquired. No response. So I called the manager and the HR person this morning and I finally got a response. Manager has decided not to proceed. Well, thanks for letting me know. (That's sarcasm, just in case you were wondering). I beginning to wonder if I am in right line of work. Maybe I should write a book complaining about what's wrong with the American business establishment. That sort of thing seems to sell really well in America. Side effect of freedom of speech, maybe? Dictators get tired of hearing it, so they outlaw it. Can't do that here. Stay tuned for my startling (or would "sweeping" be better?) expose on the pervasive H-1B corruption infecting our nation. "The E.P.A. recommends taking action if radon gas levels in the home exceeds 4 picocuries per liter of air (a measure of radioactive emission); about the same risk for cancer as a half a pack of cigarettes per day." "Radon is the second leading cause of lung cancer after smoking and is considered especially dangerous to smokers, whose lungs are already compromised." I remember reading a story many years ago about a study done of cigarette smokers who had died of lung cancer. The researcher found high levels of radioactive lead in their lungs. Where did the lead come from? It doesn't normally come from plants or from the atmosphere. He traced it to the fertilizer that the tobacco farmers were using on their plants. Fertilizer is big business, and we certainly don't want to blame big business for cancer, so we'll blame tobacco. Of course we ended up blaming big business (the tobacco companies) anyway, but I think all this means is that the chemical companies had political ties into the military industrial complex and the tobacco companies didn't. Naturally, this researcher was never heard from again. I may be the only one carrying his standard. Here is a chart I found that illustrates the decay of Uranium (U) to Lead (Pb) via Radium (Ra), Radon (Rn) and a whole bunch of other elements. I wish the text was clearer, but I had to blow it up so I could see it. 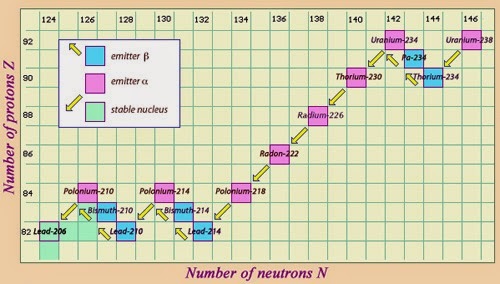 The vertical axis shows the number of protons (Z), the horizontal axis has the number of neutrons. Beta decay is a neutron emitting an electron and turning into a proton, which causes the element to move one place to the left AND one place up. Weight does not change, though the electron may leave at relativistic velocities. Alpha decay has an alpha particle (essentially a Helium nucleus) leaving. You loose two protons and two neutrons, so you move two places down and two places to the left. In both cases the number of protons change which pretty much determines what element you are. Notice that atomic weights change by 4, but are not multiples of 4. I smell another conspiracy here. Updated December 2014 because the Hungarian decay chart vanished.